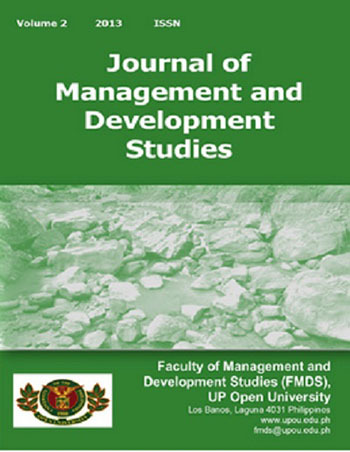 The Journal of Management and Development Studies is an annual, ONLINE, open access, peer-reviewed journal in English. It covers original researches in Environment and Natural Resources Management, Agriculture, Land Valuation, Health Sciences, Public Management, Research and Development Management, Social Work and Entrepreneurship. One volume a year is published, with supplements issued,when deemed necessary. it’s aiming for global readership, hence the broad composition of Board of Editors and Reviewers. 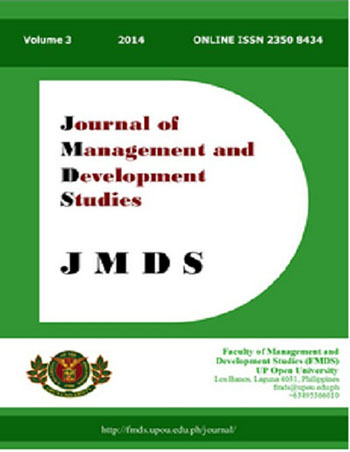 It is the official scientific online journal of the Faculty of Management and Development Studies (FMDS) of the UP Open University (UPOU).